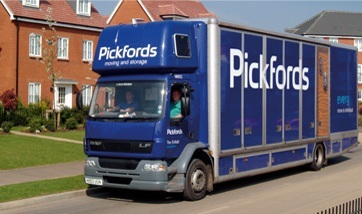 the UK’s largest removals and storage company. Once your move date is known, contact removals companies for quotes and make a booking as far in advance of that date as possible. Christmas is a busy time for everyone – removals companies included – so getting your name down early ensures your move can go ahead on your chosen date. While snow is very pretty and great for building snowmen, trying to move house in it is not easy. Gritting your parking areas and pathways will make life much easier for your removals team, ensuring they aren’t hindered by the conditions. With doors open all day as people move in and out, it’s a good idea to keep everyone wrapped up warm, and leave the kettle out until the last box is being packed. Give your new address to friends and family well in advance, otherwise your Christmas cards might end up at your old address! For any that do arrive after you’ve moved, leave a sheet of sticky labels with your new address on so the people moving into your old home can forward them on. Alternatively, set up a postal redirection service with the Post Office. We all know how much hard work is involved in moving, so bring in friends, family and relatives to lend a hand. This could be as simple as watching the kids or your pets while the bulk of the move goes ahead. Bad weather and low light can contribute to a more challenging move, so make the job as easy on yourself as possible. Friends can also help with the last-minute packing which will speed up the final loading process. The sun sets much earlier in winter, so try and get to your new home before the light fades. Keep a torch handy, as you don’t know where everything is in your new home, including light switches, and you don’t want to start off life in your new home by tripping and falling. Get all the lights on and fire up the heating to warm up. Over Christmas the opening hours for shops change, so make sure you’re not caught out by planning ahead and either do a food run as soon as you get your keys, or treat yourselves to a takeaway on the first night – after all you’ll have been lifting boxes and unpacking all day, and who wants to cook after that?